Currently only available with open keyhole design on driver's side. 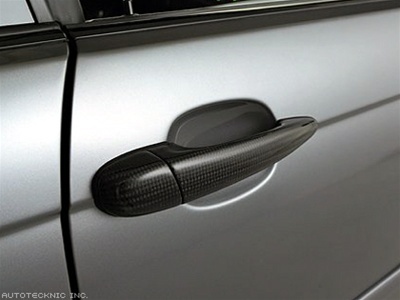 Add an extra carbon fiber touch to your BMW E46 3-Series with a set of carbon fiber door handles. 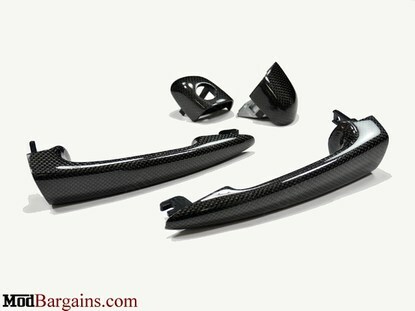 They are OEM door handles skillfully wrapped in carbon fiber to give you a flawless look and guaranteed perfect fitment. These carbon fiber door handles are a perfect compliment to any other exterior or interior carbon fiber parts. 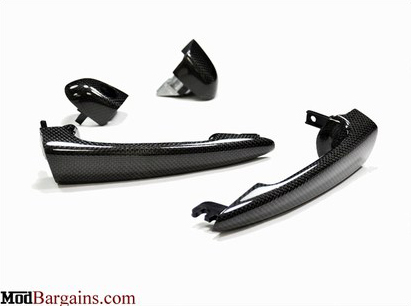 With limited stock, get your set of carbon fiber E46 door handles before they run out! This Installation is rated as medium and requires some technical and mechanical knowledge.